In 2018, we provided three fellows from Moldova/Transnistria and Russia the opportunity for a one-month research stay to Germany. 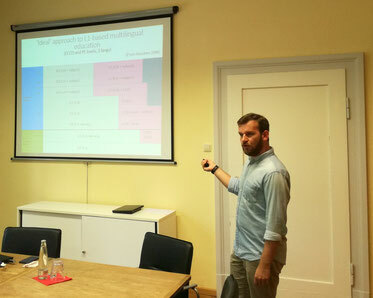 During their joint research stay in Regensburg, Mihai Mogildea from Chisinau and Anatolii Dirun from Tiraspol explored the interdependencies between the protracted conflict around Transnistria and the domestic political and economic development in the region. During the fellowship, they actively used the opportunity for an intensive exchange, further cooperation, and gave a joint lecture at IOS. During the public lecture the fellows shared and discussed their perspective on the interdependencies between the protracted conflict and the economic and political development in the region. Our third 2018 Corridors Fellow was Alexey Gunya from Nalchik. 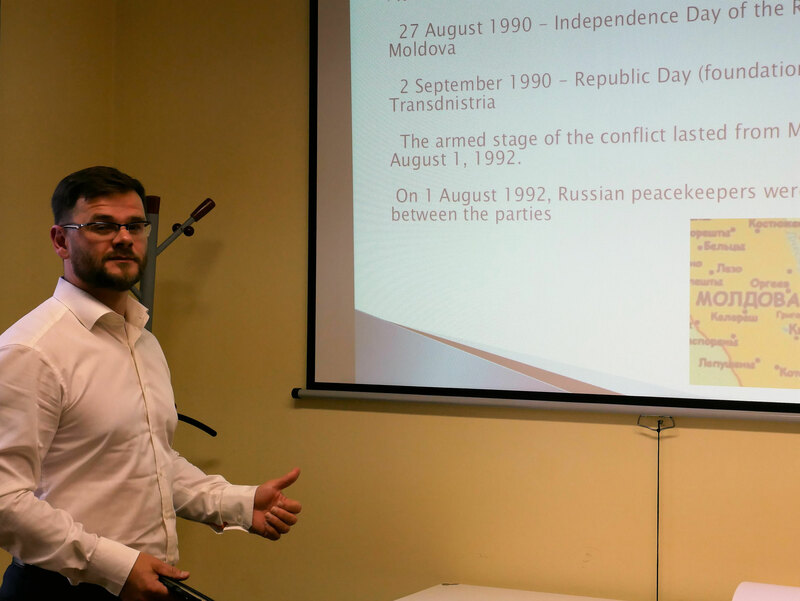 During his research stay he continued and presented his research on ‘Local communities in the Caucasus between conflict and development. Furthermore, the fellowship was dedicated to explore and develop concrete ideas for further academic cooperation between the North Caucasus and Germany. In 2017, three Corridors Fellowships were awarded to scholars from the South Caucasus. 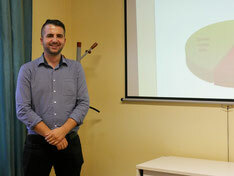 The one-month research stays provided the opportunity for joint learning, knowledge transfer and the further development of collaborative projects. 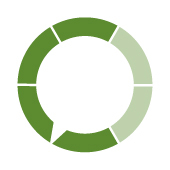 With special emphasis, we addressed the topic of multi-lingual language education in conflict-affected regions. 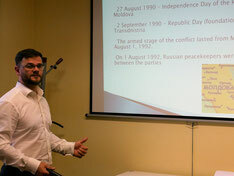 Corridors Fellows Rustam Anshba from Gudauta and Shalva Tabatadze from Tbilisi conducted their research on this highly important topic within the framework of the Georgian-Abkhaz conflict. Both argued, that education in conflict-affected regions can become a tool not only of segregation but also for positive change, especially in ethnically and linguistically diverse societies like Abkhazia. Rustam Anshba argued that Mother Tongue Based Multilingual Education (MTB MLE) is a very effective education model that can preserve linguistic diversity and promote social inclusion. 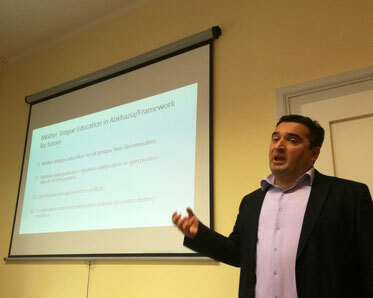 Analysing the current challenges of the education system in Abkhazia and exploring opportunities for improvement, he argued that MTB MLE in Abkhazia can contribute to overcoming many existing educational challenges and linguistic and as ethnic tensions. 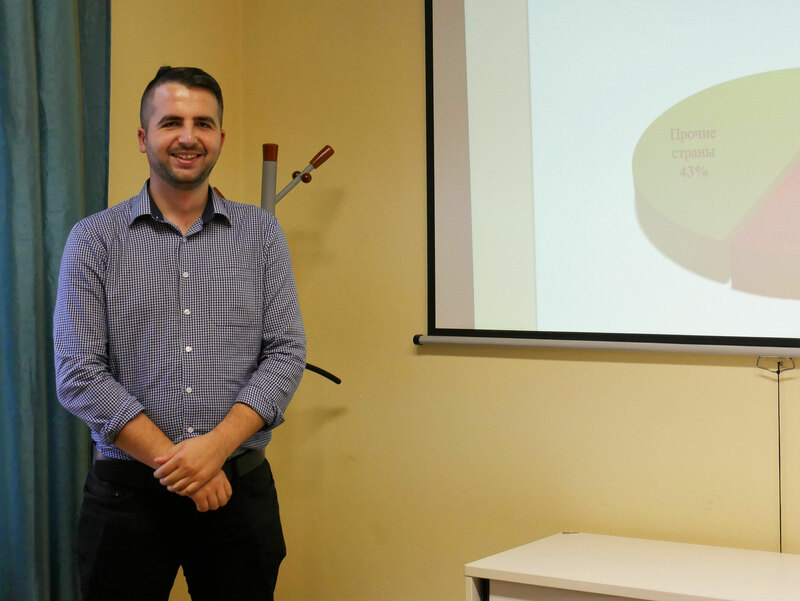 Shalva Tabatadze outlined the positive effects of mother tongue education and bilingualism in conflict-affected societies. 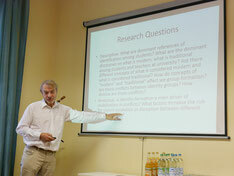 He identified major shortcomings in the field of mother tongue education in Abkhazia and argued in favour of a developmental approach to education that supports non-discriminative MTB MLE for all ethnic groups. This approach should be supported in the international community to increase the quality of education and the linguistic tolerance in the region.